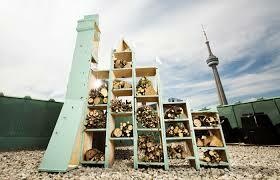 With research indicating solitary bee populations continue to show signs of decline, and loss and fragmentation of habitat cited as a leading factor, Fairmont Hotels & Resorts is stepping up to provide solitary bees with a place to rest their wings with the introduction of its first pollinator bee hotel at Toronto’s landmark Fairmont Royal York. Fairmont’s latest project to support bees is part of a larger partnership with Burt’s Bees and its annual WILD FOR BEES campaign. 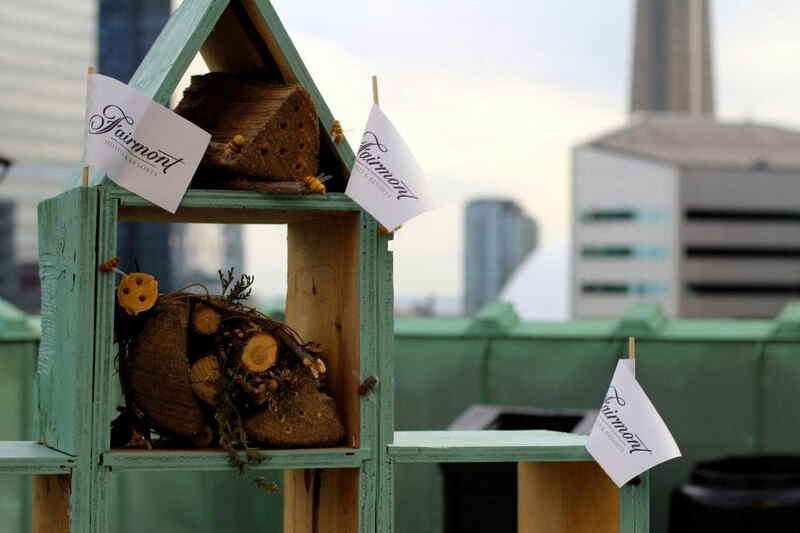 The two leading companies, along with Sustainable.TO Architecture + Building and Pollinator Partnership Canada, have teamed up to design and construct five sustainable bee hotels: four in Toronto and one in Guelph, with the first hotel launching at The Fairmont Royal York. This Toronto pilot program, which Fairmont plans to roll out at more hotels next year, supports the luxury hotel brand’s decades’ long commitment to persevering and protecting the destinations it calls home. Across North America, the overall number of pollinator bees has been on a steady decline for decades, which has impacted the health of ecosystems, the reproduction of the majority of flowering plants and pollination of food. This is a great concern, as bees are responsible for pollinating more than 80 per cent of flowering plants, fruits and vegetables. A primary cause of this decline is the loss and fragmentation of habitat. A pollinator bee hotel is a collection of nesting materials (wood, twigs, fallen branches, soil and pith-filled holes) designed to attract, support and protect native, lost and solitary bees by replicating their natural nesting sites. This allows the bees to breed, lay eggs and seek protection from predators. 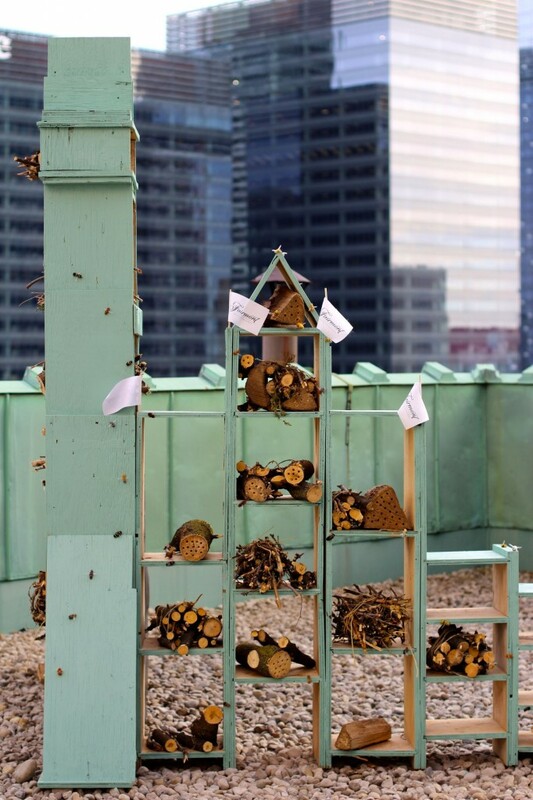 Fairmont’s bee hotel, which is designed to reflect the Toronto skyline, will provide a sustainable nesting site for local pollinator bees. 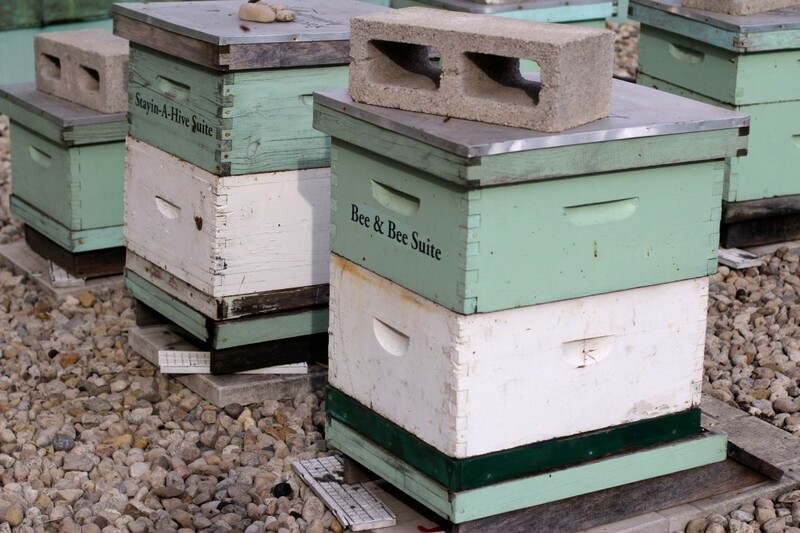 The Fairmont Royal York’s rooftop garden, which already houses an apiary of six honeybee hives, has been in bloom for more than 15 years and is the perfect spot for the new pollinator bee hotel. The high-rise herbarium features 17 four-poster beds and surrounding planter pots filled with herbs such as rosemary, lavender, lemon thyme, chives, parsley, tarragon and basil. Lemon Verbena, alpine strawberries and mojito mint also have their own beds. Established in 2008, the apiary produces over 800 lbs of award-winning rooftop honey each year, that is used in the hotel’s kitchens and its local micro-brew called “Royal Stinger”. Executive Chef Collin Thornton and his team of sous chefs maintain The Fairmont Royal York’s rooftop garden and apiary, and use the garden as a teaching tool for apprentice chefs in how ingredients are produced. To showcase the amazing powers of the pollinator bees, Chef Thornton has created a feature Pollinator Menu for June in EPIC Restaurant. 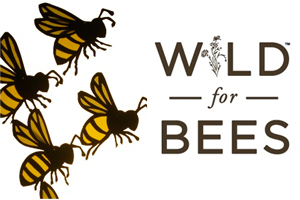 Additionally, the hotel’s Library Bar will offer a special “Buzz-tini” with ingredients from the roof, and a complimentary Burt’s Bees lip balm, all to celebrate Fairmont Hotels & Resorts partnership with WILD ABOUT BEES. To learn more about Fairmont’s sustainability efforts and ongoing commitment to supporting bee health, please visit fairmont.com. For more information on Burt’s Bees WILD FOR BEES campaign, including a limited edition Hydrating Lip Balm with Coconut and Pear with 100% of profits going to support the bee hotel initiative, please visit burtsbees.ca.